Djibouti has a small military, with one of the smallest armies in the region. However, its security is supplemented by a formal security agreement with France, which guarantees Djibouti’s territorial integrity against foreign incursions. France has one of its largest foreign military bases in the Horn of Africa country and has several thousand troops stationed in the country, as well as aircraft and other assets. The United States also has its largest presence on the continent at Camp Lemonnier in Djibouti, with several thousand personnel stationed there. As Djibouti is located next to one of the world’s busiest shipping routes, it is an important location in the fight against Somali piracy and its port is used by foreign navies patrolling shipping lanes in the Gulf of Aden and Indian Ocean. Due to its key location, Djibouti’s small navy has received training, equipment and assistance from foreign countries. External •	Djibouti is currently facing no external military threat. •	Maritime piracy in the Gulf of Aden is presenting a serious security challenge to Djibouti’s maritime security. Internal •	Al Shabaab operating within the greater Eastern Africa region may present a terrorist threat to Djibouti since the country’s decision to join the AMISOM peacekeeping mission in Somalia. Regional •	Internal instability within Somalia and Ethiopia may affect Djibouti’s foreign security policy making. 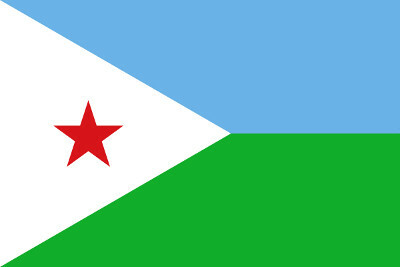 Political •	Djibouti is currently considered to be politically stable. Economic •	Djibouti’s economic wellbeing is largely dependent on its strategic maritime location between the Indian Ocean and the Red Sea and income generated by this. Any disruption to the country’s sea lanes would severely affect its economy.